That passion helps Nuño thrive in the Miami area, which he describes as a smaller melting pot within a nation known for attracting a diverse population. People who come to Miami from other countries and succeed financially, he says, tend to invest in nontraditional ways; they want to open businesses, not invest in stock. In the Hispanic-American community in particular, it’s very important for families to create a business that can be passed down through generations. Hispanic-Americans can thrive in Miami’s service industry if they have all the information they need to grow their business efficiently. Clients meet Nuño through his professional role, but they often come to know him as more than just a consultant. Northwestern Mutual has recognized him for the length of his client relationships; it’s crucial to him to be a lifelong consultant. He sees so many personal moments of so many lives that it’s inevitable that some of his clients become friends. “Hispanics are social people,” he says proudly. “We love to spend time together.” Nuño is from the Caribbean and enjoys all the benefits of a home in South Florida. “Spear fishing, scuba diving, taking the boat—” he says “—anything on the water, we’re there.” Activities like this allow him to network with clients and spend time with his wife, Lily, and sons, Adrian, Nicholas, and Dylan. The flexibility Nuño enjoys in his career gives him time with friends and family, and it also allows him the freedom he needs to participate in other causes close to his heart. He’s heavily involved in his church and says faith is the center of his life. He also serves on the advisory board in the South Florida office of the Cystic Fibrosis Foundation. Nuño says he’s encouraged by a prediction that a cure will be found in the next few years. The foundation focuses on raising money to fund this hope. His participation on the board has served as a crucial and incredible learning experience, he adds. Cystic fibrosis causes difficulty in breathing, which often results in lung infections. “Statistically, it isn’t a widespread disease, but for those who have it, it’s devastating,” Nuño says. Many people rely on Nuño, a responsibility that could be overwhelming. He says he doesn’t shoulder it alone. Nuño points to Northwestern Mutual’s backing as a major reason for his success. “It’s hard work. Noble work, but hard,” Nuño reflects. “Any job that’s worthwhile, there’s usually some sacrifice, some struggle.” He thinks often of his 30 college kids (one of whom is actually related to him), the more than 50 retired families for whom he handles investments, and the more than 100 small businesses he advises. “As you keep working, you don’t struggle less,” he says with a smile. “You just learn to struggle better.” He knows his work improves the lives of those students, families, and business owners, and that makes it worth any struggle. Northwestern Mutual is the marketing name for The Northwestern Mutual Life Insurance Company, Milwaukee, WI (NM) (life and disability insurance, annuities) and its subsidiaries. 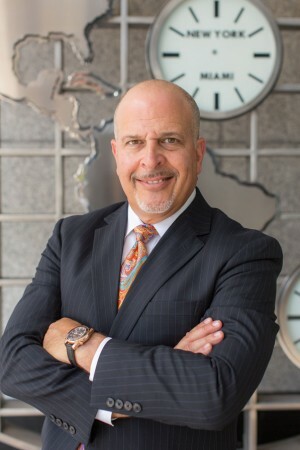 Robert A Nuño is a Representative of Northwestern Mutual Wealth Management Company® (NMWMC), Milwaukee, WI (investment management, trust services, and fee-based financial planning), a subsidiary of NM and limited purpose federal savings bank. All NMWMC products and services are offered only by properly credentialed Representatives who operate from agency offices of NMWMC. Representative is an Insurance Agent of NM, and Northwestern Long Term Care Insurance Company, Milwaukee, WI (long-term care insurance) a subsidiary of NM, and a Registered Representative of Northwestern Mutual Investment Services, LLC (NMIS) (securities), a subsidiary of NM, registered investment adviser, broker-dealer and member FINRA (www.finra.org) and SIPC (www.sipc.org). Representative may also be an Investment Advisor Representative of NMIS. Robert A Nuño is primarily licensed in Florida and may be licensed in other states.